PULLMAN, Wash. – WSU will receive $9 million over five years to continue providing five existing Upward Bound programs and establish two new ones, the U.S. Department of Education has announced. 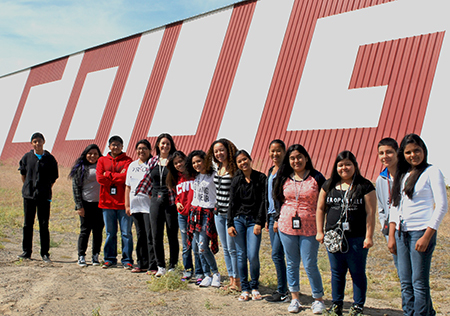 WSU’s Upward Bound programs serve high school students in Okanogan County, Columbia Basin, Yakima Valley, Central Washington and Spokane County in Eastern Washington. This fall, programs will launch in Vancouver and Bremerton. “These grants will support WSU’s work to help low-income and first-generation college students enroll and graduate from college and climb the ladder of opportunity,” said Sen. Patty Murray, who praised WSU’s commitment to mentoring and supporting high school students across Washington. “Receiving this level of support from the U.S. Department of Education is validation that WSU is a place that’s very supportive of students, including low-income and first-generation students,” said Lucila Loera, assistant vice president for the Division of Student Affairs. Yakima County Upward Bound students on their way to visit WSU Pullman campus. Students receive tutoring, assistance with college and financial aid applications, SAT/ACT test preparation, and a summer program where they stay in a college dormitory, take classes to increase their academic skills and visit college campuses at no cost to students. More than 62,000 high school students around the country receive services through Upward Bound. In response to low college participation rates in many areas of Washington, WSU established its first three Upward Bound programs in 2004, serving schools in Okanogan, Yakima, Stevens and Ferry counties. A fourth program was added in the Columbia Basin in 2008 and a fifth in Northern Okanogan County in 2012. WSU’s Office of the Provost received funding to create two new programs serving Clark, Kitsap, and Spokane Counties. The program in Yakima County works with students in some of the state’s most impoverished communities. Data from the U.S. Census Bureau shows that 72-percent of families living in the White Swan area and nearly 37-percent in the Yakima Valley are considered low-income families. Poverty is pervasive where the seasonal agricultural industry contributes to low family wages. Many studies show it to be a predictor of low educational achievement leading to low grades, school dropouts and students not attending postsecondary education. As a student in Tonasket, Wash., a town of about 1,000 people near the Canadian border, Jessica Puente Arroyo had thoughts of going to college, but didn’t think it was possible due to the cost of attending. Just prior to her senior year, WSU established an Upward Bound program in her school and she was invited to participate. 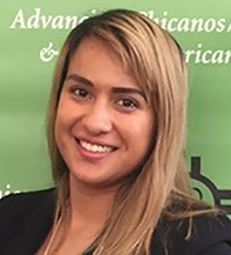 With guidance from Upward Bound staff, Arroyo secured scholarships to attend WSU in Pullman, where she discovered her passion for science research. She majors in microbiology and Spanish, and is a Ronald E. McNair Achievement Program Scholar. Now in her fourth year, she interns in a USDA genetics lab and plans to attend graduate school, after she graduates in May 2018. Arroyo said the Upward Bound program not only had a profound impact on her, but on many others who participated with her. She keeps in contact with friends who enrolled at WSU, the University of Washington, Eastern Washington University, and as far away as Arizona. Michael Highfill, director of Student Success Initiatives in the WSU’s Provost Office, believes there are many more students in the state that can benefit from Upward Bound, but don’t have access to a program. In applying for funding to establish new programs to serve Spokane, Chelan, Clark and Kitsap Counties, he looked for gaps where students are still falling through the cracks. “We chose schools that were sending the highest proportion of low-income and first-generation students to WSU Pullman, but don’t have access to Upward Bound or other TRIO programs,” he said. He said the new programs will have a strong summer bridge component, meaning once accepted to college, students will receive help building networks of support, developing a sense of belongingness and learning skills that will help ensure long-term success. Figures released by the U.S. Department of Education indicate 85 percent of Upward Bound students who graduate from high school enroll in college the following fall. Lucila Loera, Assistant Vice President, Office for Access, Equity & Achievement, 509-335-7944, lucila@wsu.edu. Michael Highfill, Director, Student Success Initiatives, WSU Provost’s Office, 509-335-9851, michael.highfill@wsu.edu. Steve Nakata, Marketing & Communications, Administrative Services, 509-335-1774, nakata@wsu.edu.